Checkmarx has teamed up with Virtual Forge to offer the most accurate and powerful platform to scan your entire codebase – including SAP applications and systems built on ABAP code. With applications at the core of any organization, Static Application Security Testing (SAST) solutions are one of the most effective ways of keeping them secure. The majority of organizations understand the need for remediating application vulnerabilities as early in the development process as possible. Until now, organizations building applications designed for SAP have had to use a separate testing solution for the platforms distinct ABAP code, with disjointed, out-of-sync results. Rapid7 is a leading provider of security data and analytics solutions that enable organizations to implement an active, analytics-driven approach to cyber security. We combine our extensive experience in security data and analytics and deep insight into attacker behaviors and techniques to make sense of the wealth of data available to organizations about their IT environments and users. Our solutions empower organizations to prevent attacks by providing visibility into vulnerabilities and to rapidly detect compromises, respond to breaches, and correct the underlying causes of attacks. Rapid7 is trusted by more than 4,150 organizations across 90 countries, including 34% of the Fortune 1000. To learn more about Rapid7 or get involved in our threat research, visit http://www.rapid7.com. Checkmarx and Code Dx have partnered up to offer customers a streamlined way to view the testing results for organizations using multiple static and dynamic Application Security Testing (AST) tools. 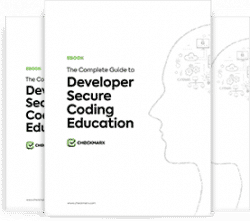 Code Dx, which provides a robust suite of fast and affordable tools to help software developers and security analysts find, prioritize, and visualize software vulnerabilities, will now support the results from Checkmarx's Static Code Analysis tool. The partnership between Checkmarx and Code Dx is a powerful way for code auditors and security teams to ensure the security of their organization's applications, by rolling up Checkmarx results, along with results from other SAST tools, into one clear view. And with Checkmarx's graph visualization, fixing security issues has never been quicker or simpler. Checkmarx has partnered with Denim Group to offer a comprehensive view of your application security testing results, allowing organizations to eliminate software risk from the first stages of the Software Development Life Cycle (SDLC). By pairing Checkmarx CxSAST’s powerful static application security testing tool with Denim Group's ThreadFix dashboard tool, customers enjoy highly-accurate, consistent results paired with actionable insights via a user-friendly dashboard. Extending their coverage by leveraging the power of multiple application security testing tools enables customers to easily prioritize high-risk issues, cut down on false positives, and quickly distribute relevant security information to all application stakeholders.